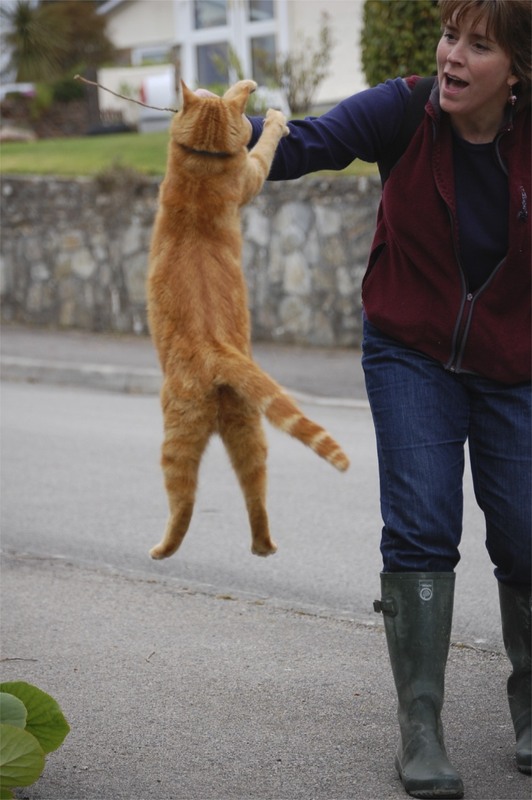 Dexter, the leaping cat is a Ginger … well at least that’s what he would be called here in Britain. In America, we would likely refer to Dexter as an Orange Tabby. 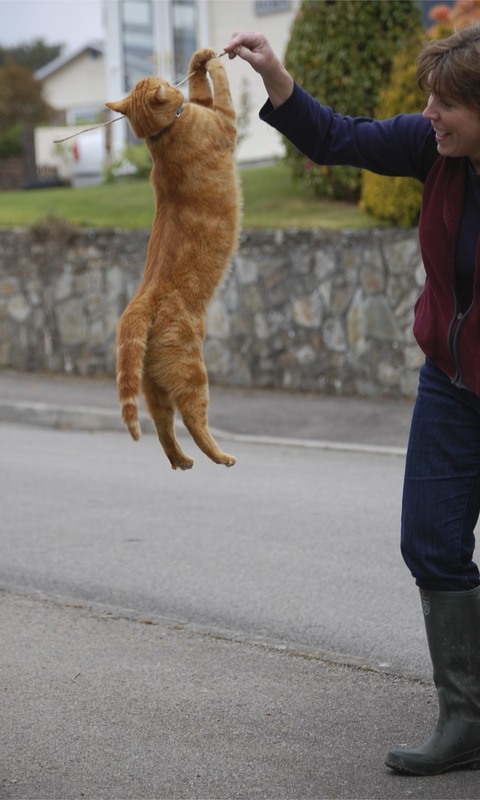 Living on my street, I’d call him just about the most playful cat I’ve ever met. If he’s outside when I am walking past his house, what you see in these photographs gives you an idea of what’s bound to happen. He doesn’t seem to forget his playmates and once you’re his friend, he will come running up the street to see you if you call his name. He has taken to stopping by the house now which is not something John encourages. It’s not that he dislikes Dexter or cats for that matter, but he enjoys watching the birds that come to snack on the bread crumbs he leaves on the bird table and Dexter’s tendency to leap out at the birds seems to put them off. My daughter Miranda took these photographs last Friday, two days before she flew home. We laughed and laughed as she tried to catch Dexter in mid leap. It looks as if it’s going to be a good one and it’s filled with a talented mix of people. I know because I’ve been reading their introductions in the comment section and snooping through their websites to learn more about who they are and what they do creatively. I’ve pasted my own intro comment below if you’d care to read it. 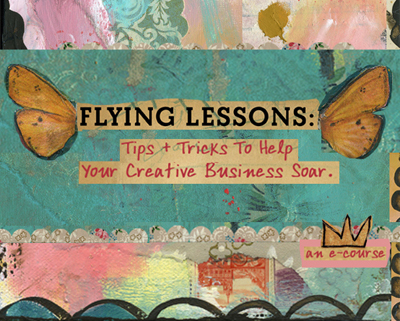 It came out quite naturally and seemed appropriate for a course titled Flying Lessons. The best dreams are always the ones where I fly. Those of you who are night-flyers know exactly what I’m talking about. Sometimes my own technique varies when going airborne, but the one consistent thing that always happens in beginning of the ascent … is the leap. The leap is required before I can feel the air under my body and take flight. The leap is essential for flying. This morning as I was reading a few of my favorite blogs while waiting for my coffee to brew, I clicked on Kelly’s post and noticed as I have for a while that she was talking about this e-course. I frequently make major moves on intuition and when I feel the nudge, I move so before I had my first sip of coffee or the sleep had been rubbed from my eyes, I had signed up. The leap … remains essential. As an American married to a Brit, it was just such a leap that lead me to find love and a new life on the Cornish coast of England. A quick look at the comments tells me I am in the company of talented group of folks and I am so pleased to be here too. If you feel like leaping, there’s still room in the five-week on-line course that begins May 30 … maybe I’ll see you there. UPDATE : This just in … I got an email about an hour ago from my sister Margaret with a receipt for the Flying Lessons class. She was up late working on a website, read about it on my blog and decided to sign up too. This should come in handy for the creative project I mentioned here, (second item on the list) that we’re working on together. This entry was posted in Adventure, Big Bag of Dreams, Bloggers, Choices, DIY, One Word - Encourage and tagged America, Britain, Cat Lovers, Dexter, E-Course, Elizabeth Harper, Flying Lessons, Gifts Of The Journey, Ginger, Kelly Rae Roberts, Orange Tabby Cat. Bookmark the permalink. Soar Elizabeth! I always look forward to your posts. 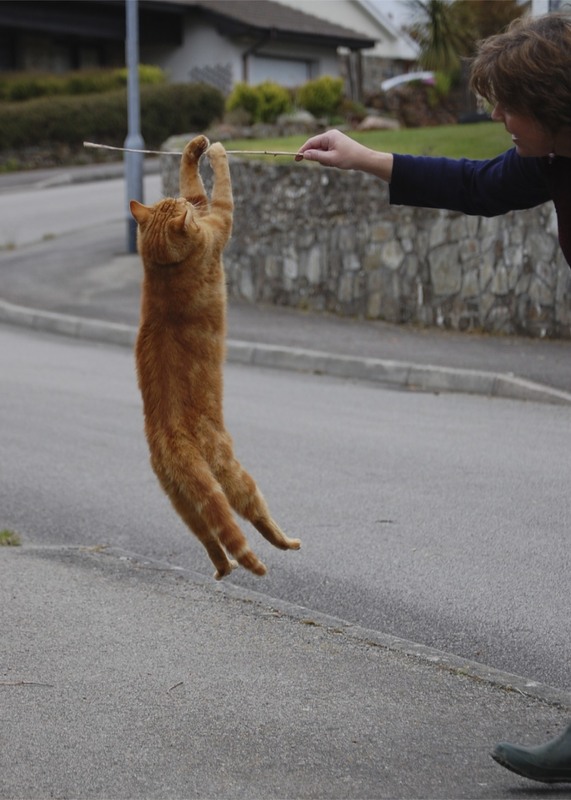 THe adorable (like the leaping ginger cat today), the heartfelt, and the inspirational….all here in your writing and sharing. Thank you for what you share and enjoy your new creative adventure. How fun that you’ll do Kelly Rae’s class! I have her book (even here in France!). Love the pics that Miranda took of you and the ginger cat. Fascinated to hear what you learn and derive from Kelly rae’s class. Thanks for your sweet words over at my place. I’ve finished my first two weeks and feel great!!! Thanks for stopping by and saying Hi! It’s nice to meet you, and I can’t wait for our class to start, should be a great experience. I love the pictures and always look forward to your posts when they arrive in my email inbox. That cat is hysterical. He probably thought the humans were, too.